We've said it before and we'll say it again: expensive HDMI cables are a waste of money. HDMI cables deliver digital data, so if the signal goes through, the cable has done the best job it can. HDGuru tested this years ago and found that no amount of gold plating or fancy advertising will give you a better picture. A simple $5 cable is just as good as a $50 cable, and there's simply no reason to throw your money away on high-priced cables. But if you read a cable's product packaging or talk to a sales representative, you could hear a different story. 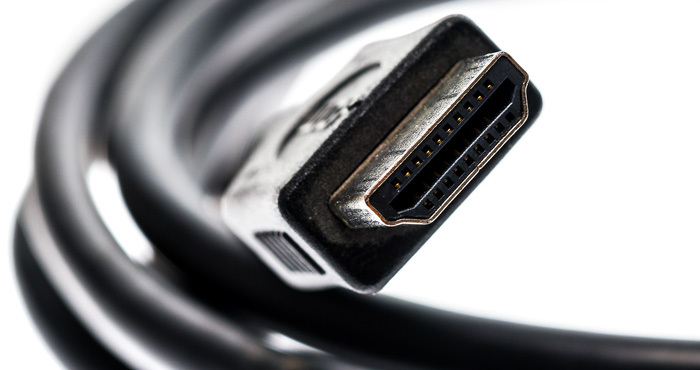 Electronics retailers — and cable manufacturers —can make big money by selling expensive HDMI cables, so marketing materials and sales representatives may falsely claim you'll get the best picture from these overpriced cables. It's no surprise that shoppers who just bought a high-quality television want the best picture — and often jump on the upsell, even though it's little more than a scam. After all, you've already hundreds on a great TV, so why be bothered by an extra $50? Best Buy was a particular offender, recommending Monster-brand cables which promised improved picture quality for a premium price. Now, customers who fell for the sales pitch have a recourse: a class action lawsuit settlement offers cash back or store credit if you bought certain Monster HDMI cables between August 2011 and March 2018. You could get from $10 to $35 in cash or store credit (depending on which cable you bought), as well as a replacement cable (if you want one). That may not be as much as you paid for the cable in the first place — right now Monster's latest HDMI cables start at $100 — but it's still better than nothing. If you bought a Monster HDMI cable that advertised bandwidth over 10.2 GBPS between August 25, 2011, and March 6, 2018, you should be eligible for a payment. All you need to do is submit a claim form online or by mail before July 23, 2018. The form is pretty straightforward, simply asking for your contact information, the type of cable you bought, the type of payment you want, plus a proof of purchase if you want a cash payment. But if you're worried about finding your original receipt, the acceptable proof is pretty broad. You can submit the original receipt, a credit card statement showing the purchase (be sure to redact personal information first), a photo of the product package, or a photo of the end of your HDMI cable showing the Monster logo. Photos must be in color and clear, or you'll likely be contacted for additional proof of purchase. Unless you keep excellent shopping records, the simplest proof of purchase will probably be a photo of your cable. If you've already discarded it, you may find the receipt for your cable included on you TV receipt (which you may still have if you tend to keep records of big purchases). If you bought online, it's even easier, because you can probably find your receipt in your mailbox or on the retailer's website. Credit card statements can be another simple source because you can usually look them up online — but if it's a particularly old purchase, they may not be accessible anymore. But If you bought your cable all the way back in 2011, you may not have the cable or any other proof of purchase available. You can still get a refund, but it will only come in the form of a $20 to $35 store credit on Monsterproducts.com. It's no great prize considering the prices of most Monster products, but it's still better than nothing. You can submit a single claim with no proof of purchase, but if you want to submit more than one — even if you only want store credit — you'll need to offer some proof that you actually bought a cable. Then just fill out a claim form online or print a form and submit it by mail. All claims must be received or postmarked by July 23, 2018, if you want any kind of payment. Should I ever pay more for an HDMI cable? While we've been harsh on pricy HDMI cables here, there are some instances where you might pay a bit more. You can expect longer cables and thinner cables to have higher prices. Some cables are covered with braided nylon for durability, though we think this often isn't necessary for HDMI cables as you don't tug them as often as you would a smartphone charging cable. Even if you want these extra features, you shouldn't bother going for the highest price cable — a modestly priced cable with the features you want is just fine. the details on how to get compensation are so confusing and unclear, and inquiries for help go answered. Mailings went out to some like me only in September and there is a later deadline specified. But before I crawl inside cabinets and squeeze around the back of AV equipment to pull out our three expensive monster cables covered in this settlement, we have questions, but calls only reach recordings and e-mailed questions result in a form auto-response and vague stuff about more going with the suit and the settlement could change.